Recently, the Charleston County School District sold the old Laing Middle School and its site, located here in Mount Pleasant, to corporate giant Home Depot. The building is still there as I write this article, as Home Depot has yet to tear it down, but I know it’ll soon be gone, and I’m trying not to be unhappy about it. While I never actually went inside the building, its dilapidated appearance and overgrowth of weeds and tall grass intrigued me. I longed to go inside, wander the silent halls and daydream about what scholarly discussions took place there, but a heartfelt email to Home Depot’s PR department for permission yielded nothing. 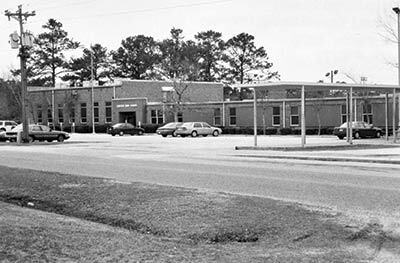 At that time, Cario Middle and Pinckney Elementary were new, and Wando High School had 14 trailers on its old campus on Whipple Road. So, in other words, the need for more space to educate in East Cooper is a continuous one. 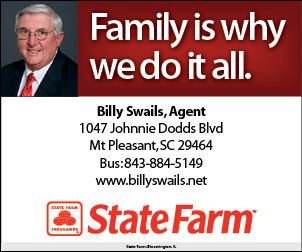 And even though Moultrie, Jennie Moore, Laing, Sullivan’s Island and the old McClellanville Public School are either demolished, remodeled or hosting new entities, it’s important to remember their earlier stories. 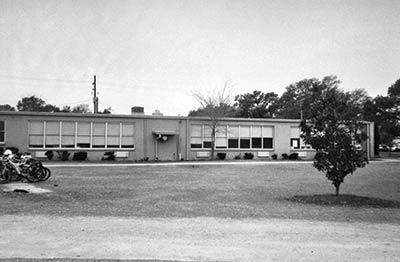 Moultrie High School found a new home on Coleman Boulevard in 1944. A new wing was added in 1953. The original Moultrie High School was located on Pitt Street in the Old Village. 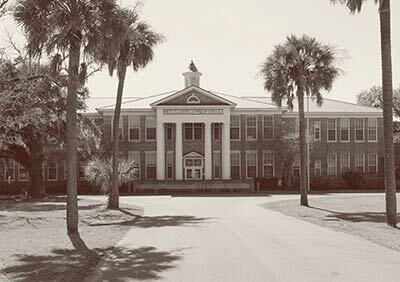 The school found a new home on Coleman Boulevard in the 1944, with a new wing added in 1953. An article written by Harriet Broom in 1957 stated: “The new building was connected to the old in such a way as to leave a patio in the center of the construction. The members of the Mt. Pleasant Garden Club have recently put a lot of hard work into making the patio a place of which the school can be proud.” In 1973, following desegregation, high school students relocated to Wando High School (on Whipple Road) and the former building transitioned into Moultrie Middle School. 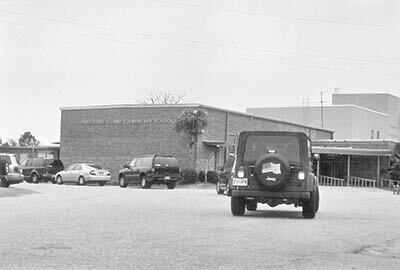 It was demolished in 2007 to make way for the snazzy new Moultrie Middle we know and love today. Af ter desegregation, high school kids went to Wando and Laing became a middle school. Another middle school in Mount Pleasant, Laing, has a rich history. The school was started by Cornelia Hancock for the purpose of educating freed slaves. It soon evolved to Laing Industrial School, an institution for educating kids in practical trades and funded by Henry M. Laing, and became a feeder school for the new Laing High, located at the spot on Highway 17 North that Home Depot just purchased. After desegregation, high school kids went to Wando and Laing became a middle school. The newest version of Laing, a magnet school open since fall 2015, is located on Bulrush Basket Lane and garners continued accolades in the field of STEM education. Originally a feeder school for Laing, Jennie Moore was named after a civic leader. In the early 1950s, a new elementary school for African-American students opened about seven miles north of Mount Pleasant. It replaced five other elementary schools in the rural area and it was named after civic leader Jennie Moore. Originally a feeder school for Laing, Jennie Moore eventually became East Cooper’s first magnet school in the 1980s. Jennie Moore Elementary still operates as a magnet school; its focus is the creative arts. The updated building, opened in fall 2015, shares a campus with Laing on Bulrush Basket Lane. 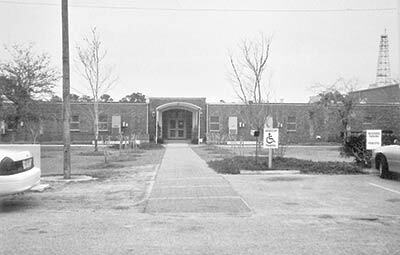 The original Sullivan’s Island Elementary was replaced in the 1950s, thanks to the district leasing the old Battery Thompson site. The original Sullivan’s Island Elementary, a wooden structure approximately 50 years old, was replaced in the mid-1950s thanks to CCSD leasing the old Battery Thompson site. 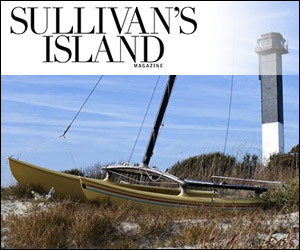 Though the lease was approved for a total of 99 years by U.S. Secretary of the Interior Douglas McKay, plans to build a brand-new Sullivan’s Island Elementary came to fruition in 2014. A beautiful maritime-themed structure welcomed students back from their temporary home at the old Whitesides Elementary on Rifle Range Road, where the school was located after 2010 due to structural concerns. In the early 1950s, students from a rural school in McClellanville were treated to an upgrade: the new Lincoln Middle-High. 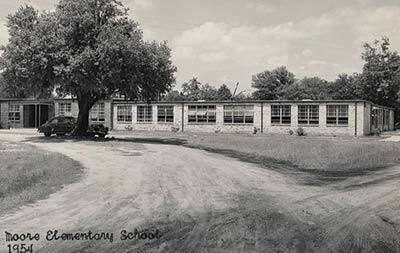 In the early 1950s, students from a rural school in McClellanville known as Old Lincoln School were treated to an upgrade: the new Lincoln Middle-High, which consisted, according to an article in The News and Courier from 1953, “of 18 classrooms, offices, multipurpose room, library, domestic science laboratory, shop and agricultural study rooms.” More recently, students at Lincoln were displaced to Wando in 2016 when the district decided that low enrollment made the school unworthy of maintaining. McClellanville families took the news hard, as a new high school for this quaint Southern town is still likely several years away. 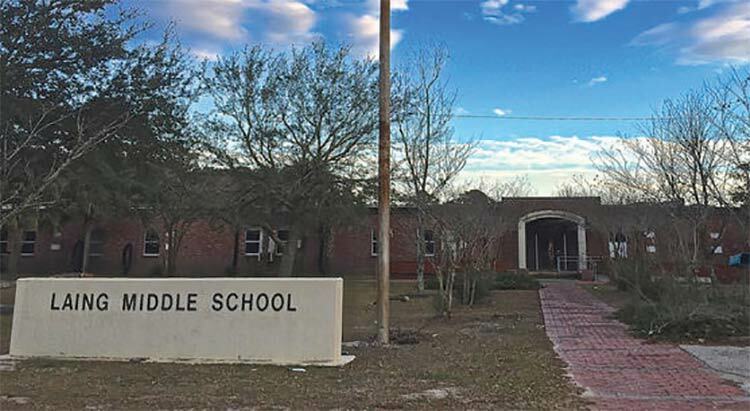 The stately McClellanville Public School operated in the 2016-2017 academic year as Oceanside Collegiate Academy. The stately McClellanville Public School, still bearing its original name across the top of the building, began in the 1920s as an elementary school, then shuttered in the early 1980s. It opened as McClellanville Middle School in 1991 but closed again in 2009 due to low enrollment. After standing vacant for several years, the district reopened the doors in the 2016-2017 academic year as a temporary abode for Oceanside Collegiate Academy. 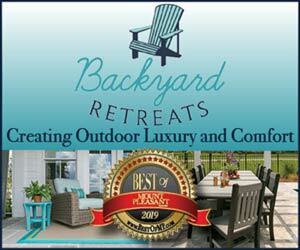 This year, Oceanside will move into its new location at Carolina Park in Mount Pleasant. Discussions for the future of McClellanville Public School continue. Article said after desegregation we went to Wando and Lang became a middle school. 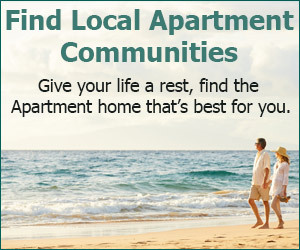 Desegregation came long before that. When it occurred the all black Lang high school became 8th grade junior high. I think 7th grade was von Kolnitz. Or old Moultrie. Old moultire had been the white junior high for 7th and 8th. The newer Moultrie was the desegregated high school until Wando was built with first graduating class being 1974.